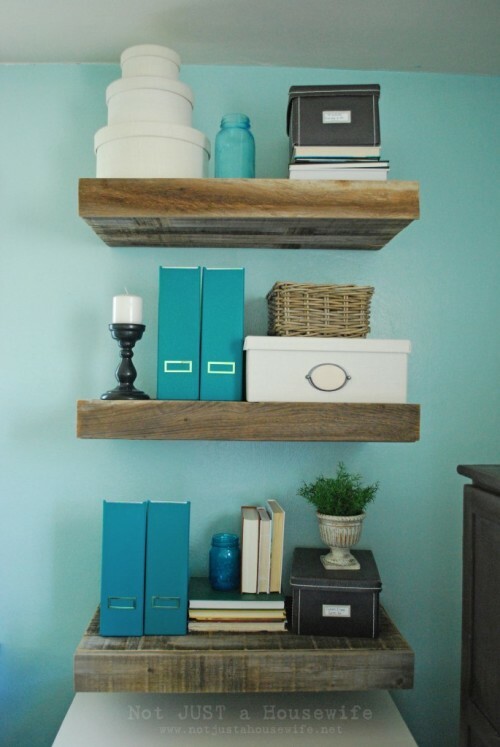 In my opinion floating shelves is probably the coolest thing ever for small spaces. You can find place for them anywhere, they looks quite minimalist but provide some vertical storage space. Besides, you can make them with a hidden storage space inside them. That would be a great addition to store some things that you don’t want to show everybody. You can make floating shelves from any wood including reclaimed wood. In this case they won’t cost you anything if you have some tools to cut this wood. Visit notjustahousewife for full instructions on how to make these cool shelves.